Explore this page to find out more about forthcoming events. Thursday 27th October 2016 at 11.00am – 1.00pm and 2.00pm – 3.30pm, ‘Go Potty’ at the Museum of Somerset, Taunton. Come and make a prehistoric pot inspired by the Bronze Age beakers found inside Wick Barrow at Hinkley Point. Free event aimed at families. Tel 01823 255088. Wednesday 21st September 2016 at 2.30pm, Film show of the Hinkley Point archaeological excavations 2012-2015, with a slide show of the 2016 excavations including a Bronze Age circular enclosure. Given by Rachel Bellamy, Learning Officer. Hosted by the Bicknoller Social Club, at the village hall, Bicknoller, West Somerset. Thursday 28th July, 2pm – 4pm, Object handling with an archaeological theme at the Museum of Somerset, Taunton Ta1 4AA. Come and handle some archaeological artefacts with a member of the museum team. This event is FREE, part of the Festival of Archaeology. Wednesday 27th July, 11am – 1pm & 2pm – 3.30pm, Hinkley Point Archaeology Pop Up Session at the Museum of Somerset, Taunton Ta1 4AA. The archaeology outreach officers will be on hand to discuss the discoveries made on one of the largest infrastructure sites in Europe. 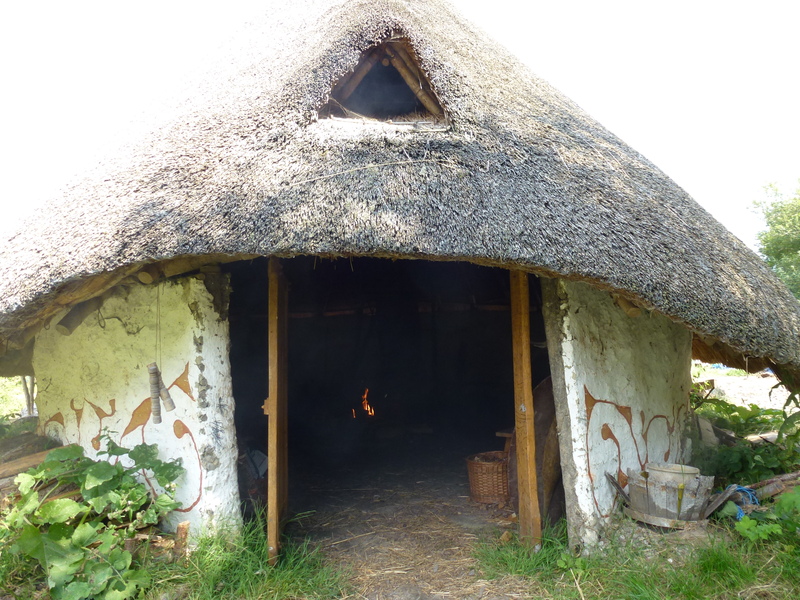 Find out about Bronze Age ritual, Iron Age farmsteads and a Roman villa. This event is FREE, part of the Festival of Archaeology. Wednesday 23rd March, 7.30pm, Film show of Landscapes of Power and the Folklore of Wick Barrow, with Jane Hill, Learning Officer at the South West Heritage Trust, at the Globe Inn (upstairs), Priest Row, Wells (note change of venue from previous posting). Hosted by the EMI Scientific & Engineering Society. The Annual Archaeology Day at the Blakehay Theatre, Wadham Street, Weston-super-Mare Keynote Speaker: Dr Jodie Lewis – From Round Barrows to Roman Britain. Recent research and excavation on North Hill, Priddy. The morning will feature a panel of speakers on topical subjects and recent new discoveries in the county, including Hinkley Point. After lunch our keynote speaker will be Dr Jodie Lewis talking about her work on North Hill, Priddy Admission: £15.00 Tickets available on the door. To book in advance visit the SANHS Online Shop: http://www.freewebstore.org/SANHS/The_2016_Annual_Archaeology_Day/p823372_15042710.aspx or email: programme@sanhs.org or Tel: 01823 272429. Tuesday 15th March, 7.30pm, Film show of the Folklore of Wick Barrow and talk about the recent excavations at Hinkley Point, with Jane Hill, Learning Officer from the South West Heritage Trust, at St Peter’s Church, Stolford, nr Stogursey. Tuesday 8th March, 7.30pm, Film show and talk about Archaeology at Hinkley Point with Jane Hill, Learning Officer from the South West Heritage Trust, at The Old Schoolroom, Stone Allerton, Somerset BS26 2NJ. Hosted by the Allerton WI. Tuesday 16th February 2016, 10.30am – 2.30pm, Prehistoric Activity Day at the Somerset Brick and Tile Museum, Bridgwater. Create an ancient pot! (collect later when fired). Build a mini Iron Age roundhouse! This is a FREE drop in activity suitable for age 3+. Brick and Tile Museum, East Quay, Bridgwater, TAG 4DB. Organised by South West Heritage Trust. Contact Jane Hill for further details: jane.hill@swheritage.org.uk, 01823 347450. Tuesday 12th January, 7.30pm, Talk on ‘The Archaeology of the Cannington By Pass and Hinkley Point Update’ by Jane Hill, Learning Officer of the South West Heritage Trust. Hosted by the Weston-super-Mare Archaeological & Natural History Society, Victoria Methodist Church Hall, Weston-super-Mare (opposite Tesco). Friday 8th January 2016, 7.30pm, Talk on ‘The Archaeology of the Cannington By Pass and Hinkley Point Update’ by Jane Hill, Learning Officer of the South West Heritage Trust. Hosted by the Banwell Archaeology Society at Banwell Village Hall. Thursday 26th November 2015, 7.30pm, Film show of ‘Landscapes of Power, the History and Archaeology of Hinkley Point’, followed by discussion with Jane Hill, Learning Officer of the South West Heritage Trust. Hosted by the Westbury Society at Westbury-sub-Mendip village hall, Hannah’s Lane, Westbury. 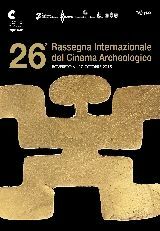 The South West Heritage Trust (SWHT) is delighted to announce that it is taking part in the International Archaeological Film Festival to be held 6th-10th October at Roverto, Italy. The SWHT has entered ‘The Folklore of Wick Barrow’ which is part of the Hinkley Point archaeological outreach programme and two other films, ‘The Lady in Lead’ and ‘Glastonbury Lake Village’. The films were made by film maker Justin Owen and have already passed the initial selection process. The winners will be announced at the festival, so wish us luck! Thursday 17th September 2015, 2.15pm, Talk on Archaeology at Hinkley Point & Cannington by Jane Hill, at the Hard of Hearing Club, Tangier Scout & Guide Centre, Castle Street, TA1 4AS (near the bus station),Taunton. 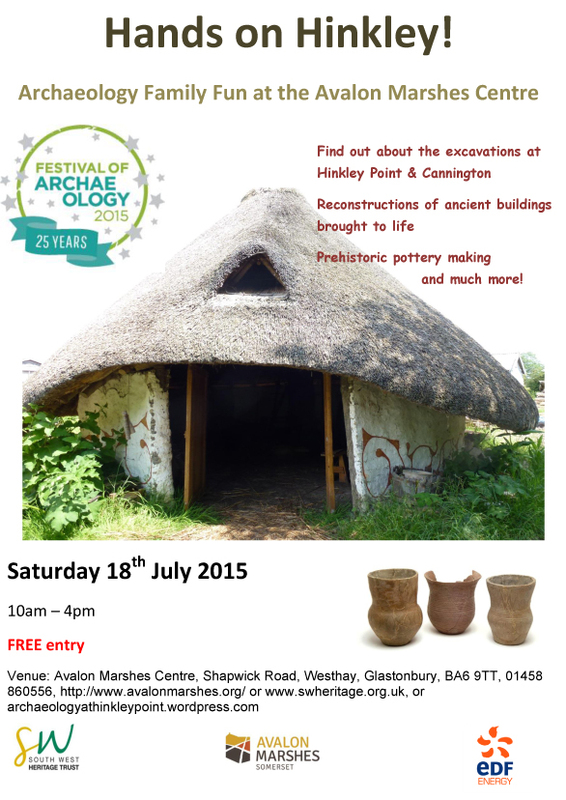 Saturday 18th July 2015, 10am – 4pm,‘Hands on Hinkey’, Festival of Archaeology at the Avalon Marshes Centre, Shapwick, Somerset. FREE event, no need to book. 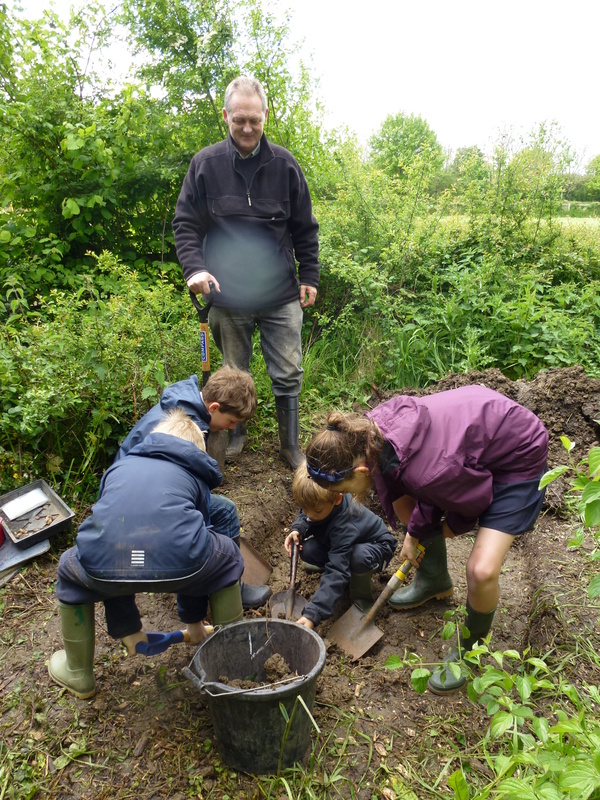 The archaeology found during excavations at Hinkley and Cannington will be rediscovered during a day of exciting hands on activities. Staff will lead visitors through time, from prehistory to the Saxons, using our reconstructions of an Iron Age roundhouse and a Romano-British dining room to help bring the archaeology to life. Activities will be practical and designed for the whole family, including prehistoric pottery making and Saxon woodworking. The Festival is coordinated by the Council for British Archaeology and is the annual UK-wide celebration of archaeology. The festival gives everyone the opportunity to find out more about their past, by taking part in specially organised events during the festival fortnight, which runs from Saturday 11th July to Sunday 26th July 2015. Archaeologists from the South West Heritage Trust are trying to find out more about the medieval origins of the village and will be digging test pits with local residents, schoolchildren and students, in Glebe field next to the church. This is part of the celebrations of the 800th anniversary of Magna Carta. Come along to Glebe field (next to the church) and meet the archaeologists! The Curry Mallet Magna Carta 800 group received a Heritage Lottery Fund (HLF) Sharing Heritage Grant, to help fund activities to celebrate the 800th anniversary of the sealing of the Magna Carta. 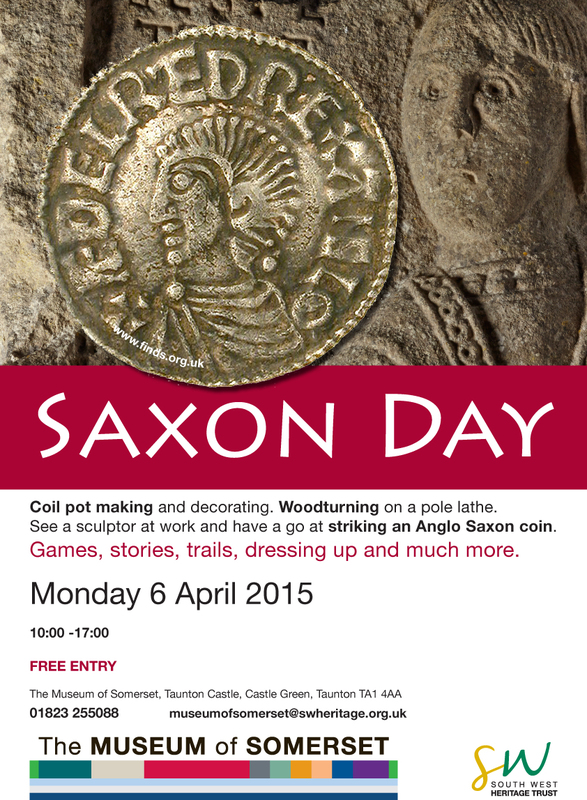 Monday 6th April 2015, ‘Saxon Day!’ at Museum of Somerset, Taunton, 01823 255088, museumofsomerset@somerset.org.uk, 10am – 5pm, FREE. Coil pot making and decorating, woodturning on a pole lathe. See a sculptor at work and have a go at striking an Anglo Saxon coin. Games, trails, dressing up and much more. Tuesday 10th February 2015, 2.45pm, Memorial Hall, Trull, Taunton (Trull WI), Talk on Archaeology at Hinkley Point, by Jane Hill, Learning Officer. 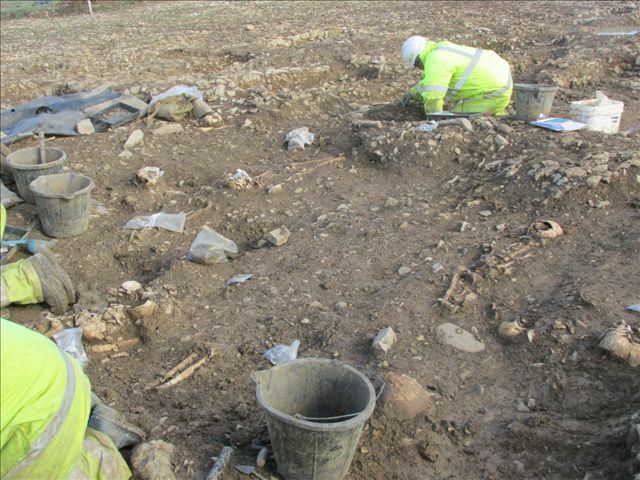 Wednesday 4th February 2015, 2pm – 3pm, Burnham on Sea Library, Talk on Excavations at Cannington, by Jane Hill, Learning Officer Please note that this talk has been postponed by Burnham library. A new date will be announced soon. Apologies for any inconvenience. Saturday 31st January 2015, 11.00am – 1.00pm, Museum of Somerset, Family Fun – Be a Finds Specialist! Sort, identify and record finds. Have a go at reconstructing a pot, just like a conservator and sort museum objects on the giant time-line. Museum of Somerset, Taunton Castle, Castle Green, Taunton. Open Tuesday – Saturday 10am – 5pm. 01823 255088 http://www.somerset.gov.uk/museums. Wednesday 21st January 2015, 2pm – 3pm, Burnham on Sea Library, Talk on Excavations at Cannington, by Jane Hill, Learning Officer – Please note that this talk has been postponed by Burnham library. A new date will be announced soon. Apologies for any inconvenience. 11am – 12 noon, ‘A Ruined House’ story and craft session for children age 3-7 years old. With Jane Hill, Learning Officer. Please contact the museum to book a place. 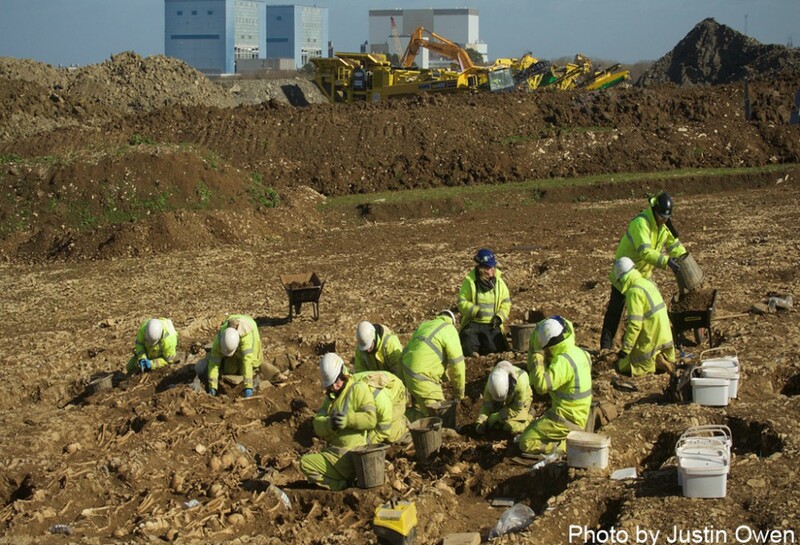 1pm – 3pm, ‘Pop Up’ display of Hinkley Point archaeological finds. Jane Hill, Learning Officer will be on hand to answer questions about the excavations and the outreach project. Wednesday 29th October, 11am, Williton Library – ‘A Ruined House’ story and craft session for children age 3-7 years old. With Jane Hill, Learning Officer. Please contact the library to book a place. Thursday 23rd October, 2.30pm, Bridgwater Library – Talk on Excavations at Cannington with Jane Hill, Learning Officer.